Join us for Unfiltered! Our caffeine (or decaf) fueled monthly meeting of the minds, for techies & non-techies alike. 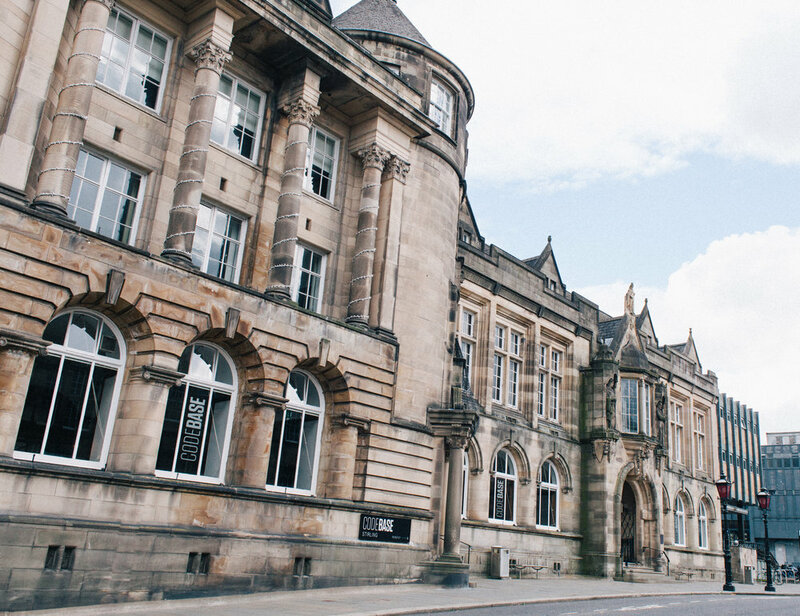 Join us on June 6 from 5:30 - 8pm for the second CodeBase Stirling Meetup. Sign up with your email address to receive news and updates about CodeBase Stirling. We respect your privacy. We will only ever use your email address to send you our monthly newsletter, that’s all. By signing up to this newsletter, you are consenting to the details you provide being used by CodeBase Ltd to contact you directly with information relating to activities at CodeBase. We only collect this data when we have your consent and retain it on a secure database. We store this data for three years after your last communication with us, unless you withdraw consent. Thanks for signing up to our news & updates, have a lovely day! A space for developers, creatives, entrepreneurs, designers, product managers, and digital marketers to drop in for a day, or month for a casual workspace. We like people who want to collaborate with our community and make awesome things happen. £50 per month or £10 per day. Looking for a little more flexibility? Coworking offers a fixed desk, use of meeting rooms as well as access to our awesome community. Work alongside a diverse range of developers and entrepreneurs in a friendly open space. Grow your team in one of our bespoke office spaces ranging from 2 to 70+ staff. Build, scale and hire in the fastest growing tech incubator in Europe, designed with tech businesses in mind. We have a variety of spacious meeting rooms available to hire, designed to adapt around your needs. We have several flexible events space's with lots of character available to hire. All standard technical equipment supplied and catering can be arranged at cost. Contact us for our Events Pack and prices. Or pop by and say hello!